At the end of May I made the drive to Banff to learn, create, and be inspired. 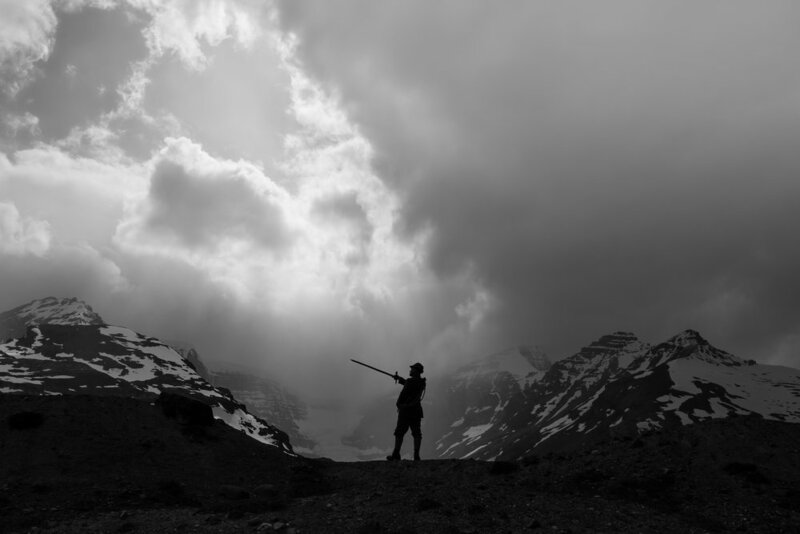 Dave Brosha, Paul Zizka, and Wayne Simpson put on an amazing workshop in Banff called Portraits in High Places. Now lemme say I am not all that outdoorsy. I was a little nervous about freezing in the mountains, getting eaten by a bear, or getting lost. All slightly dramatic fears but non the less. ….. I will say it was a tad chilly. As a Canadian girl from the prairies one would think I was accustomed to the cooler weather but even with all the layers (seriously I wore all my sweaters one day) I was chilly. Truth be told, I hide indoors for most of the winter. Hot coffee, chucky sweaters, and board games keep me occupied throughout the winter. …I digress. Banff. ….well, It was amazing! I like to try new things. Even if they scare me a bit. I like to live with the idea that putting ourselves in situations where we are uncomfortable is how we push ourselves, that’s how we grow. Photographing models in the mountains seemed like the perfect way to push myself a bit. Try new things, meet new people, and just get away for a bit. The trip met all of my expectations and then some. I spent the week with seriously the best people. Models, participants, and instructors …all of them were so great. There wasn’t a time ….even when the wind was whipping at my face, that I would have preferred to be anywhere else. Watching how other photographers approach taking a photograph, seeing their perspective and vision come to life is amazing. Seeing new sights and visiting new places was so amazing. Now that I have gone through all the images I look forward to sitting back and reflecting more on the experience, seeing how it will impact my work going forward, and setting some new personal goals. Until next time. Peace out Banff.